The staff of ChiArts is committed to providing a high level of quality education, both artistic and academic, to its students. Likewise, in order to reap the benefits of this well-rounded education, each student and parent is asked to make a commitment to the rigorous demands of this unique program. Discipline, respect, a positive attitude, a willingness to learn and experience new ideas, dedication, thorough preparation for class, and regular attendance are necessary components for the success of the student. Every third absence will lower the students earned grade one full letter. When injury, extended illness or another crisis cause a student to miss class for an extended period, every reasonable effort will be made to assist the student in completion of the class. It is the student’s responsibility to approach the instructor as soon as possible and discuss his/her status or make up classes. Upon return to class a student must present a doctor’s note confirming that s/he was unable to participate in classes during that time. A student’s enrollment in the Visual Arts Department is for the duration of three hours from 2PM – 5PM, each day of the academic school year. Early dismissal for any outside additional class or extracurricular activity will not be allowed. A student’s enrollment in a designated department is for the duration of four years. The scope and sequence of the Visual Arts Department follows a highly rigorous sequential curriculum that begins with instruction in the traditional foundations, principles and elements of art. Each student must follow this sequence. In the third year of the curriculum, interdisciplinary electives (e.g. stage design) may be provided but visual art students must remain enrolled ONLY in classes provided by this department. No exceptions will be made. 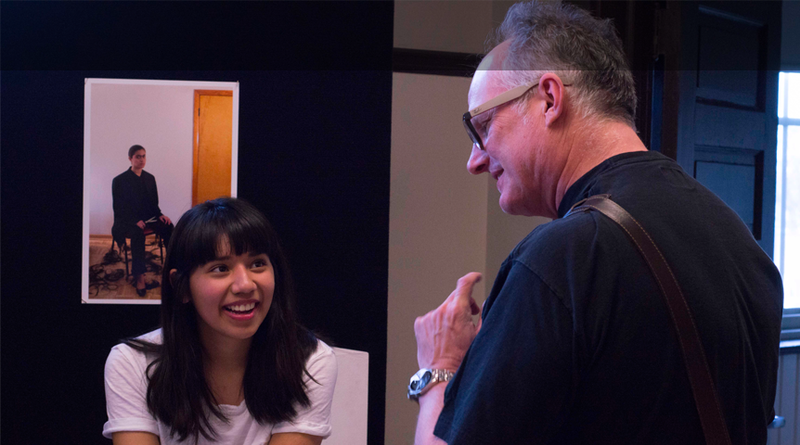 Students in the Visual Arts Department will participate in a number of exhibitions or juried competitions both on and off campus. Students need to confirm with the head of the Visual Art Department if participating in any exhibition outside of ChiArts or competitions that are not ChiArts recommended/approved. Students in the Visual Arts Department will be asked to leave their artwork primarily in the ChiArts studio during the duration of the school year. It is important to ensure the safety of all artwork in order to participate in exhibitions, submit to competitions and for documentation at the end of each term. In order to be prepared for college portfolio submissions, merit awards and all citywide and national competitions, students will need a digital record of their work. All work will be documented, and a copy will always be provided for each student. Students cannot take their artwork home without consent from the teacher and/or head of the Visual Arts Department. At the midterm and end of each semester art work in portfolios will be reviewed and documented; only at that point artwork that is not retained for exhibition/competition will be sent home with students. No gum, food or drink ( except bottled water) are allowed in the visual art studios. Use of cell phones are not allowed in the visual art studios. First Offense: Confiscated by visual arts faculty and returned at the end of the day. Second Offense: To be held until parent/guardian personally retrieves them.